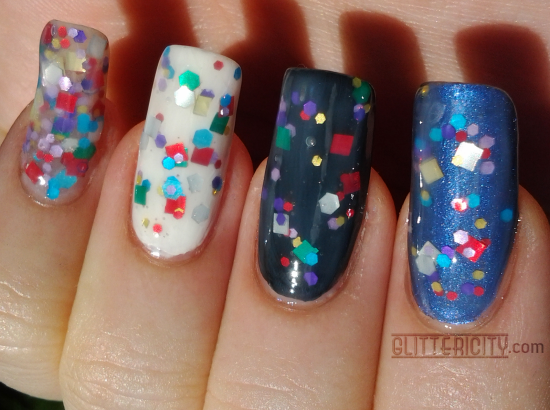 Today's post is relatively simple--I just want to show off a couple of new (to me) polishes today! 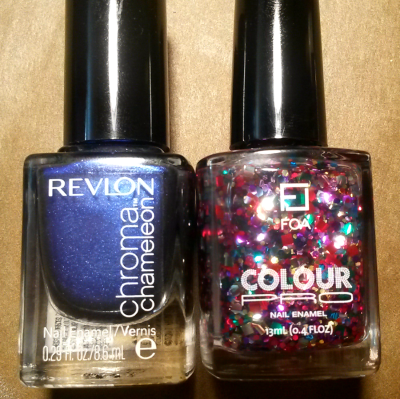 A chunky rainbowy glitter by Face of Australia, which I'll show you second, and then a really gorgeous shimmery blue. They are all gorgeous (hello, Chanel Peridot dupe), but nothing unique in terms of duochrome polishes. Only one called out for me to take it home, and ironically it's the least changeable of the lot. 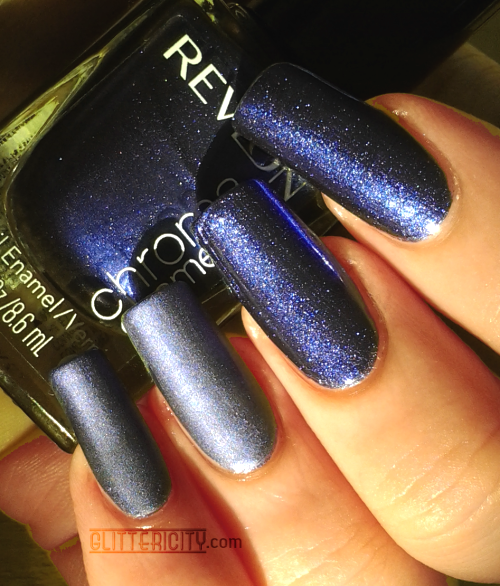 This lovely shimmery midnight-blue/dusty blue/indigo beauty is called Cobalt! 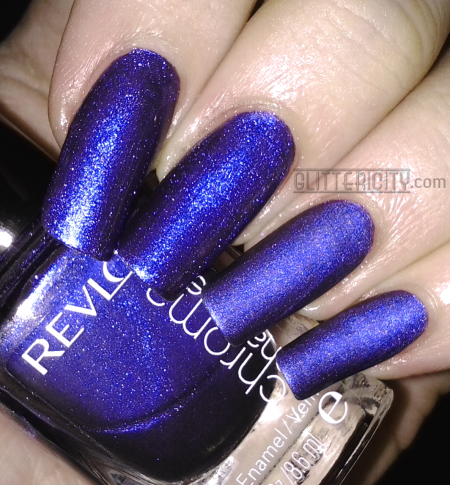 This is two coats of Cobalt, which glided on in a very satisfying kind of way. It's a little bit thin, and the first coat goes on streaky, but a second one totally evens things out and looks beautifully rich and deep. It is fairly glossy even without topcoat, but I noticed in the bottle it looked like it might be a satin-finish (even though I knew it wasn't). To see how it looked both ways, I added Seche Vite topcoat on the index + middle nails and OPI Matte topcoat on the ring and small fingers. I like them both! 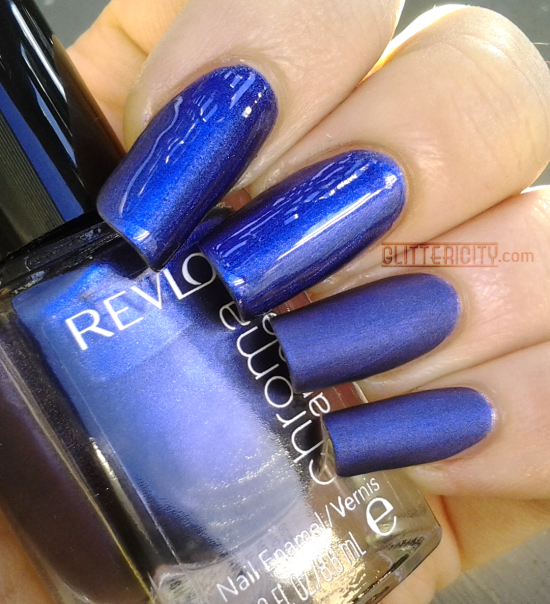 This is one of those shades that doesn't always photograph exactly right, but the above photo is pretty spot on. 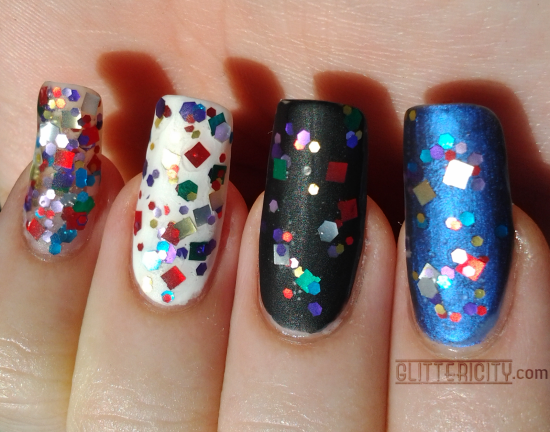 My skin looks a bit funny, but never mind that--the polish is accurate! 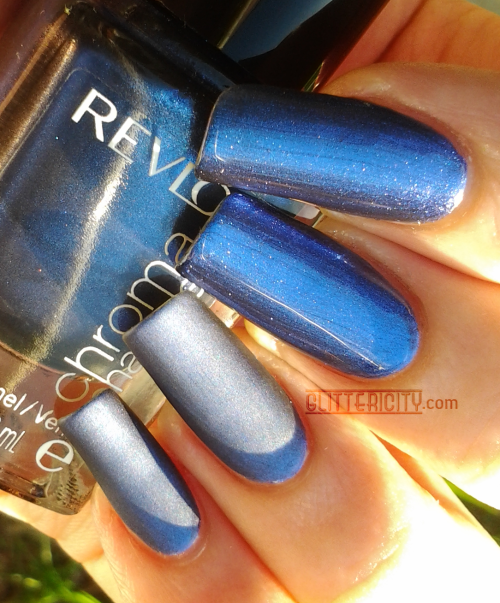 I quite like the above photo--you can really see the shift on the shiny nails, and the shadow cast on the matte ones looks like a ruffian! The formula of the suspension base is perfect. It's thick enough to suspend the glitters evenly, but thin enough to keep things from clumping together. You get a massive amount of pieces with every dip, and application is easy. 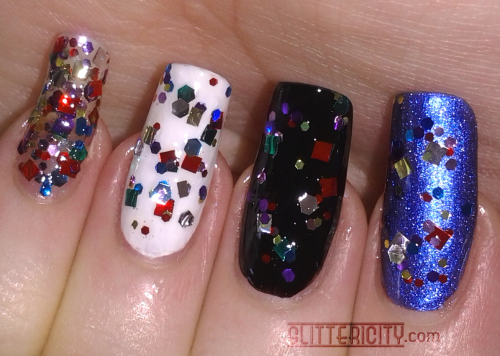 As with any chunky glitter, you have to do a bit of spreading and placing (or as I call it, the dab-and-disperse), but there's no issues whatsover with doing so. I decided to have some fun with this one... let's put that matte topcoat on and see how it looks! 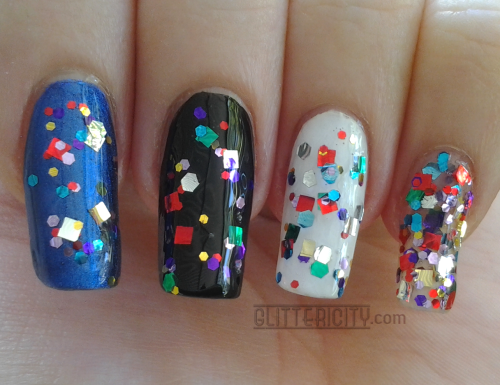 I particularly like this effect over the white and blue nails! Alllllrighty, that's all I have today! Now, I am afraid I must take a blogging hiatus, as I have about ten coats of polish on my nails including a chunky glitter, and therefore it will never ever ever come off and I cannot do any more manicures until these grow out.